House Resolution 295 was just introduced into the US House of Representatives by Representative Kay Granger (R-TX) along with co-introducers Representative Dutch Ruppersberger (D-MD) and Representative Charles Gonzalez (D-TX). 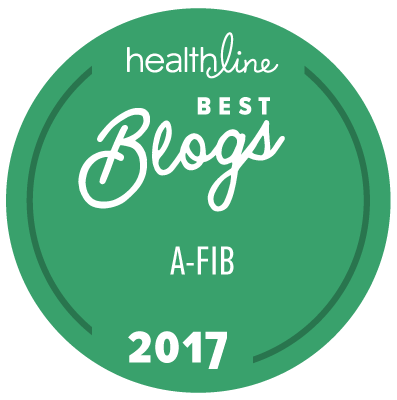 StopAfib.org has been working closely with the Heart Rhythm Society and other stakeholders on the introduction of this AF Resolution. This important resolution would raise awareness of atrial fibrillation, improve patient care and safety, and advance afib research and education. “StopAfib.org applauds Representative Granger, our home district representative, for her commitment to focusing attention on atrial fibrillation,” said Mellanie True Hills, founder of StopAfib.org and former afib patient. “Now we need help from the afib stakeholder community to gain enough co-sponsors in the House of Representatives to ensure that this important resolution makes it out of committee and to the House floor for a vote." Please help us get other members of Congress to sign on as sponsors. You can help by taking a moment to read the resolution below, and then register your support with your Congressional member using the tool at the bottom of this page. It takes only a minute or two and could ensure that this resolution makes it out of committee and receives a House vote. Please note that the AF Resolution DOES NOT ask for any new funding. The resolution simply raises the priority of AF in the existing research and education funding allocation process. AF has always been overlooked in this process, while so many other diseases get far more than their fair share of funding because their advocates make their voices heard loud and clear in DC. If you want us to ever find the cause of AF, and to find a cure, it's time to make your voice heard, too. Promoting increased awareness, diagnosis, and treatment of atrial fibrillation to address the high morbidity and mortality rates and to prevent avoidable hospitalizations associated with this disease. (3) improve access to appropriate medical care for patients suffering from atrial fibrillation by encouraging education programs that promote collaboration among the Federal health agencies and that increase public and clinician awareness of atrial fibrillation, including risk assessment, screening, treatment, and appropriate clinical management. Register your support below with your Congressional member — a minute or two of your time will help us ensure that this resolution gets voted on in the House of Representatives.